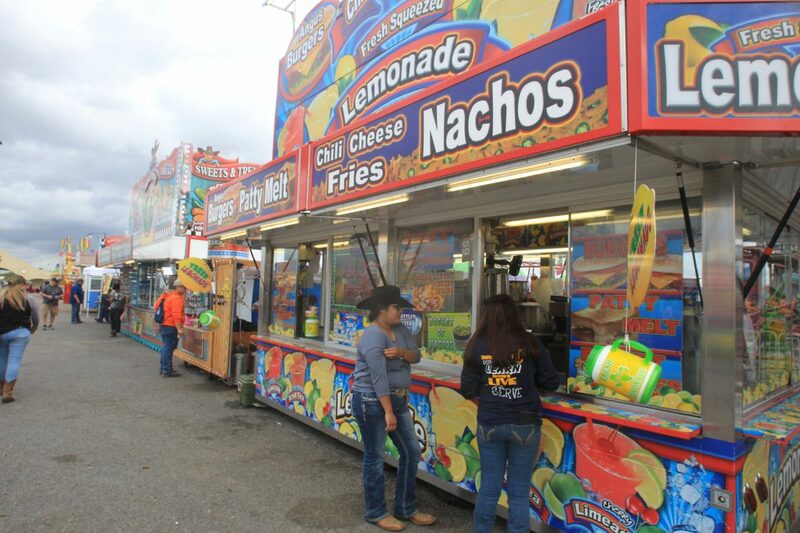 Visitors order carnival food at the Rio Grande Valley Livestock Show Thursday, March 12, 2018, in Mercedes. MERCEDES — Six-year-old Juliet Garcia tore from a funnel cake at the center of a picnic table. She sat with her aunt and grandfather Thursday among the bustle of the Rio Grande Valley Livestock Show in Mercedes. Between the three, they’ll spend close to $100 on food and drinks. But to the adults that brought Juliet, feasting on carnival grub together is a family tradition, they said. Food vendor Krista Fillmore agrees with the sentiment. “Cotton candy, corndogs, funnel cakes (and) things like that are nostalgic … (and) directly linked to memories from childhood,” said the Vancouver native who owns two stands specializing in fried foods. Maribel Martinez serves a Suicide Taco at the Rio Grande Valley Livestock Show Thursday, March 15, 2018, in Mercedes. 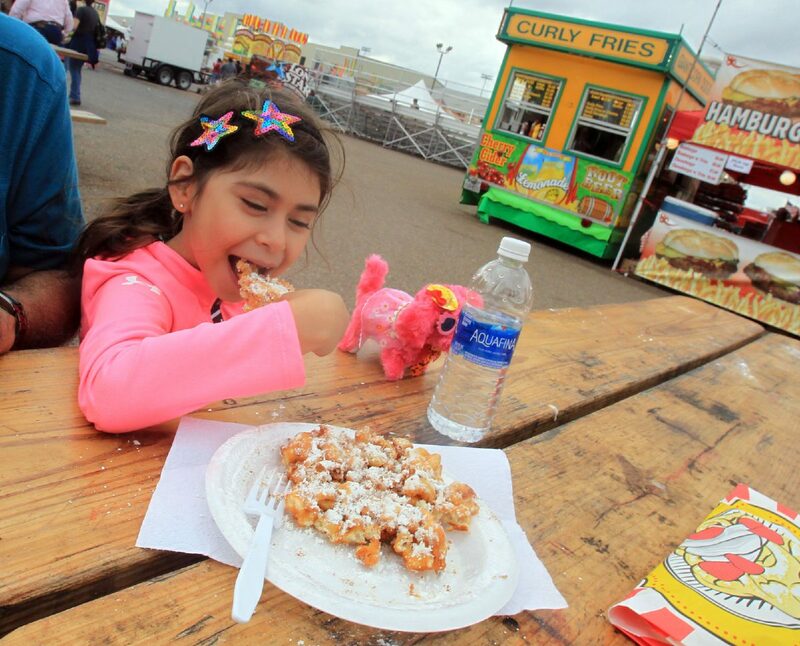 Juliet Garcia, 6, eats a funnel cake at the Rio Grande Valley Livestock Show Thursday, March 15, 2018, in Mercedes. 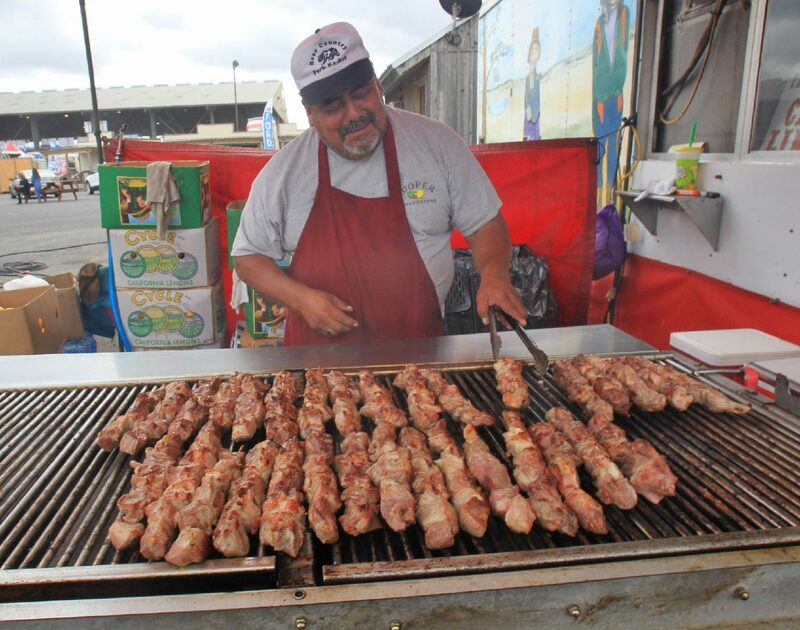 Javier Solis grills pork kabobs at the Rio Grande Valley Livestock Show Thursday, March 12, 2018, in Mercedes. Caleb Robinson fries up Oreos cookies at the Rio Grande Valley Livestock Show Thursday, March 15, 2018, in Mercedes. Fernando Chapa cooks stir-fry noodles at the Rio Grande Valley Livestock Show Thursday, March 15, 2018, in Mercedes. 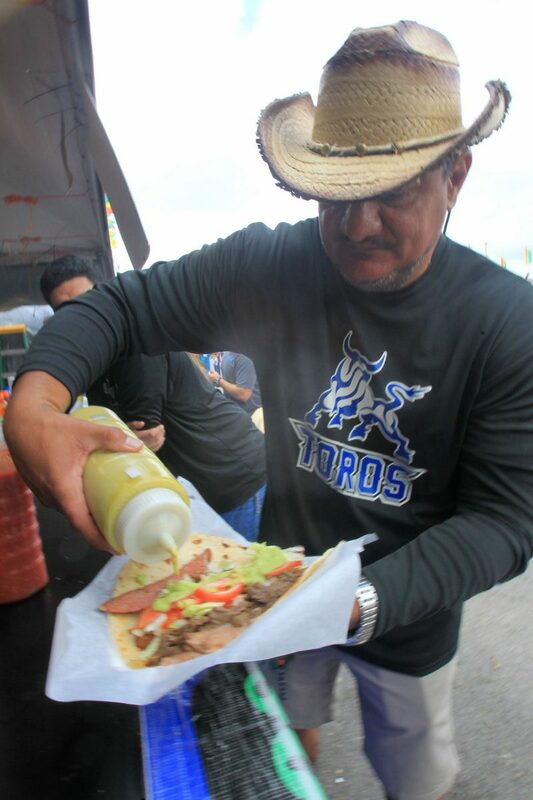 Polo Sanchez enjoys a Suicide Taco at the Rio Grande Valley Livestock Show Thursday, March 15, 2018, in Mercedes. 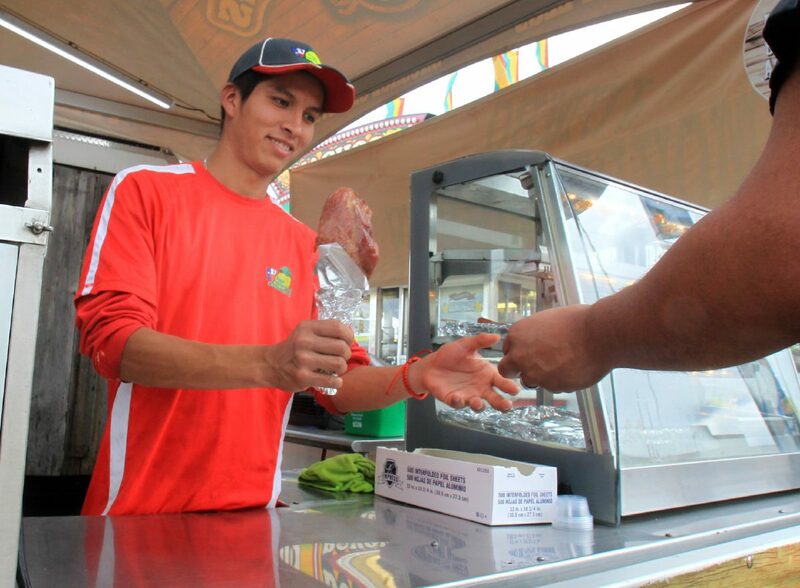 Horacio Rivera sells a turkey leg at the Rio Grande Valley Livestock Show Thursday, March 15, 2018, in Mercedes. Caleb Robinson, of Houston, uses tongs to dip Oreos in batter and then drops them into hot oil. He flips them over, making sure excess coating doesn’t dangle beyond the cookies’ edges resulting in “legs,” he said. 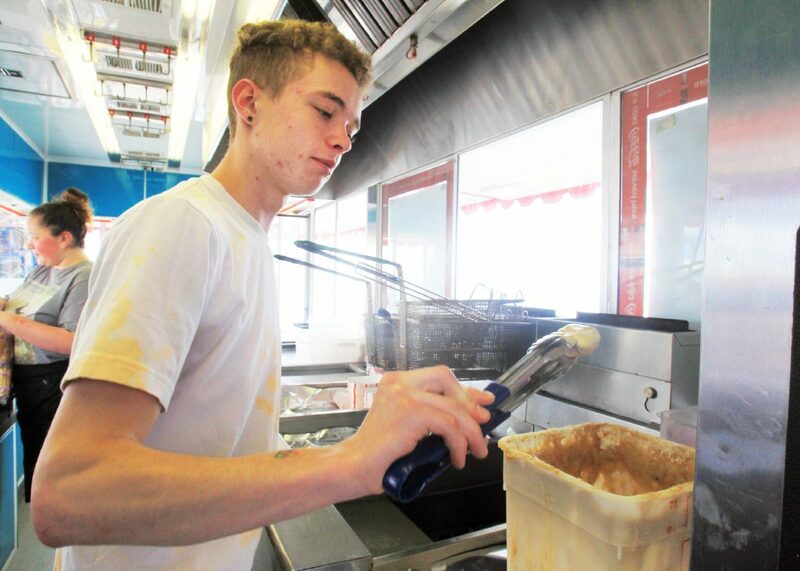 Fried Oreos are their bestseller, and Robinson said the order is so frequently called from the register, it’s permeated his subconscious into his dreams. Another appeal of carnival food is that the menu is consists of “things you’d never dream of” and “that you’d never make (it) at home, like deep-fried cheesecake,” Fillmore said. Polo Sanchez stood in line waiting for a taco — packed with a trio of meats — that customers can only purchase during the show’s 10-day stint. 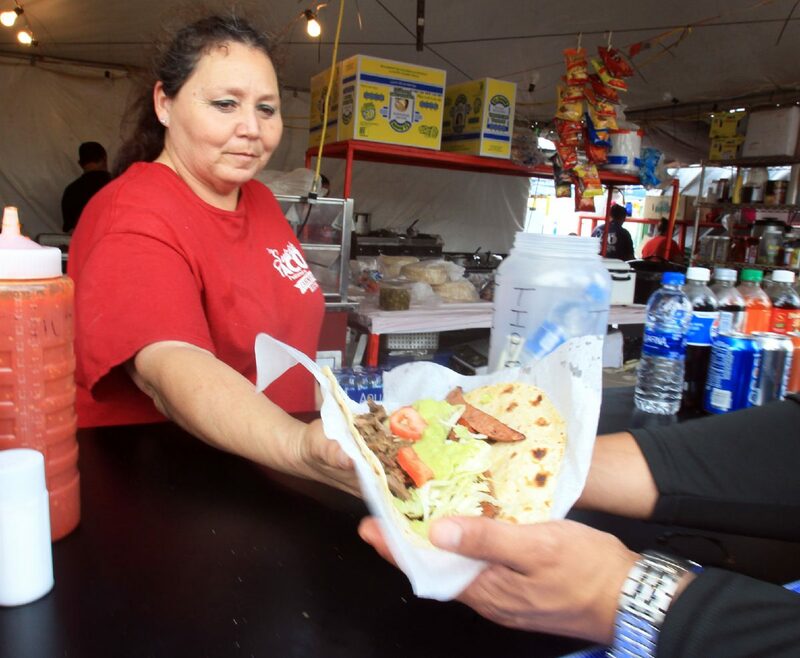 “The Suicide Taco consists of three meats, which are fajita, tripas and sausage, beans, avocado, lettuce and tomato on a homemade flour tortilla,” said Maribel Martinez, an owner of the stand. 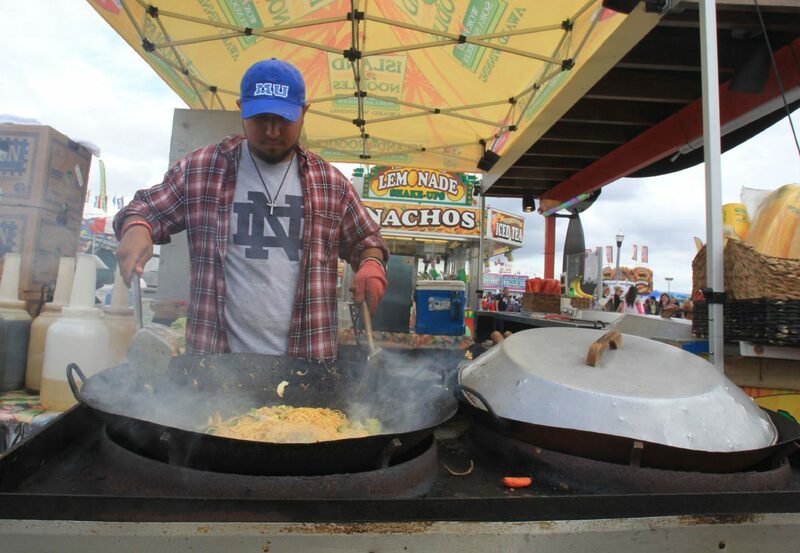 “It was born here at the Stock Show by an FFA teacher” who requested a specific taco no one would make for him. That was their first year; the family-run stand has been here 18 years. Martinez works for UPS, her husband is a teacher and her dad is a farmer; they all play different roles to bring the temporary business together, she said. While one can find some exotic dishes in Mercedes, like chocolate-dipped bacon, Hawaiian stir fry, various meats on sticks, numerous fried things and pickle juice shots, Fillmore said the show might miss the weirder dishes because of the size of the show or community. Fried cockroaches, fried butter and chocolate-dipped jalapeños are foods you’d expect to find at bigger shows, she said. But it’s not necessarily a bad thing that the show isn’t the size to attract the full array of vendors. For Fillmore, this is the first show of the season which lasts until Oct. 30. and Mercedes is one of her favorite stops because “it really has a community feel,” she said. She described the clientele at the Rio Grande Valley Livestock Show as “friendly,” versus larger shows where it’s not a rarity to serve a “grumpy” customer.